Can you find the elephant in the picture? We stopped in Kumily on our way from Madurai in Tamil Nadu to Allepy in the Indian state of Kerala. Kumily is the gateway town to Periyar National Park. 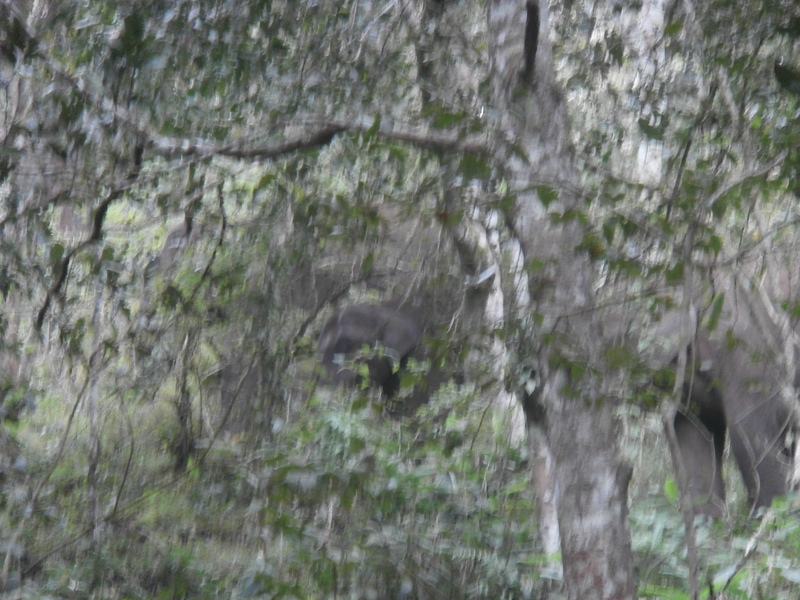 And seeing elephants in the wild during our nature walk in the park was the highlight of our visit. We also took a morning boat ride on the lake that was pretty disappointing. We were crowded into a boat with 50 other noisy tourists, required to wear lifejackets, and forbidden to stand up. We did see some cool birds though. We didn’t take a jeep tour since we already did that at Yala National Park in Sri Lanka. Or do any treks (although Rand wanted to, but the cost and lack of other family members with physical endurance kept us from doing one). We did watch a Katakali performance, which was pretty bizarre. 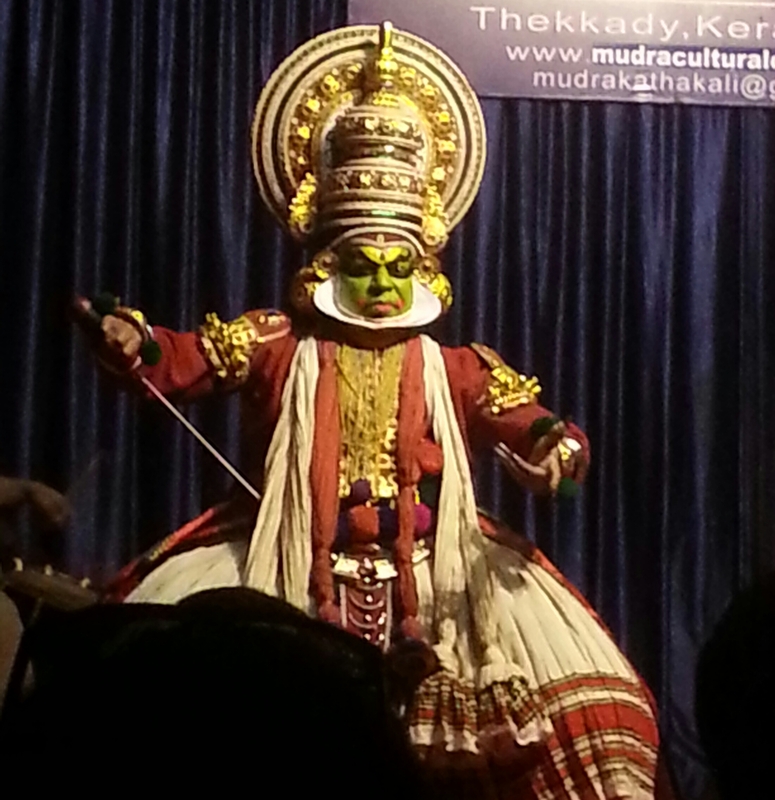 First, the performer demonstrated various facial expressions used in Katakali. Then after 20 minutes of this, two performers silently enacted a “love” story where a woman is in love with a man and tries to win his affections, but in the end he cuts her breasts off. The second highlight of Kumily was the homemade chocolate. India is known for its spices and they are fantastic when infused into chocolate: cinnamon, ginger, cardamom, mint, chili. Sadly, we haven’t found these chocolates anywhere else in the country. Wild elephants and fancy chocolate made Kumily and Periyar National Park a fun place to stop between the temples of Tamil Nadu and the houseboats in Kerala. Oh gosh, I am obsessed with anything flavored with cardamom! Add it to chocolate?!? I’m drooling! !